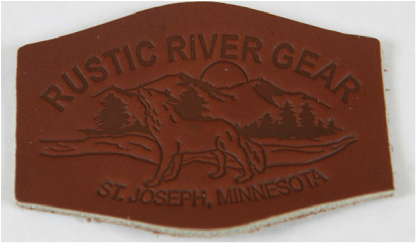 Though the name Rustic River Gear is new, the company is not. Central Canvas Manufacturing Inc. is the parent company and has been around for many years, since 1990 to be exact. Over the years we have focused on the marine and fish house industry. We have done private label bags and contract sewing for other companies over the years so this is nothing new. We figured if we can make a boat cover or boat lift canopy last many years we should be able to make a bag that lasts a lifetime, so in 2015 Rustic River Gear was born. Rustic River Gear strives to create the best product, that meets and exceeds your expectation. We will stand behind our products forever! This covers workmanship and materials. If a seam comes apart, a rivet falls out, or the material fails, we will fix or replace the item at our discretion to make it right. We do not cover mis-used, abused, or neglected products; however we do understand things happen which is why we will help you get your product repaired at a reasonable price if something shall ever happen to your product due to an accident. We believe in our products for a lifetime because of the materials and hardware we have chosen to use. Here at Rustic River Gear we strive to create the best possible product that will last forever. Each of our products use high quality waxed canvas material offered in blue, charcoal, field tan, and camouflage on select products. Solid brass, and Stainless steel hardware are used as it will last forever. Our leather comes from the S.B Foot Tanning Company in Redwing MN and is all waterproof. All of our zippers are sewn and top sewn for added strength. Raw edges on the inside are bound wherever possible to keep the bag free of fraying yarns from the waxed canvas. ​ ​Want to Carry Our Products in Your Store? If you are interested in carrying are products in your store please contact us to see what we have to offer. We look forward to hearing from you.